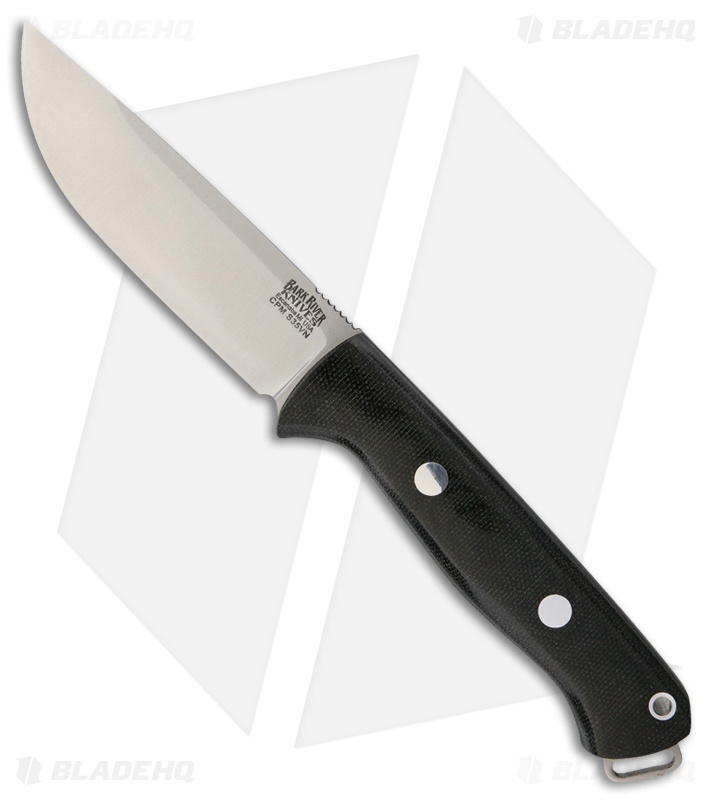 This Bravo 1 Field knife has a Black Canvas Micarta handle and a premium CPM-S35VN stainless steel blade. The Bark River Knives Bravo 1 Field Edition has all the sought-after features of the original, but does not have a ramp—and instead sports an added row of traction grooves on the spine. This heavy duty bushcraft/survival knife will stand against your toughest tasks. Includes a handcrafted leather belt sheath for secure carry.